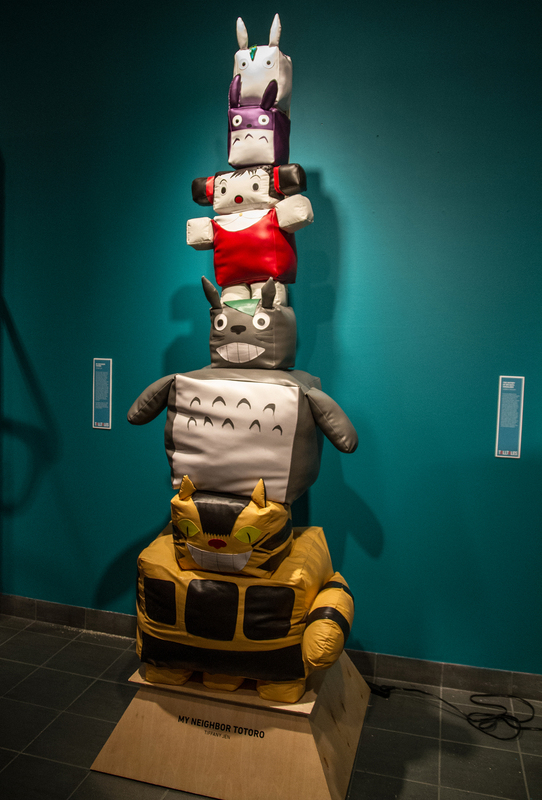 My Neighbor Totoro is part of a larger exhibition called 'Tall Tales' featuring modern totem poles created by the students of the SVA MFA Design program. We were asked to choose a modern story or timeline to base our 9' minimum structures on. The Totoro totem pole focuses on a specific scene from the movie "My Neighbor Totoro" where the girls are waiting for their father's bus one rainy night, and later sees Totoro standing beside them with a leaf as protection from the rain. 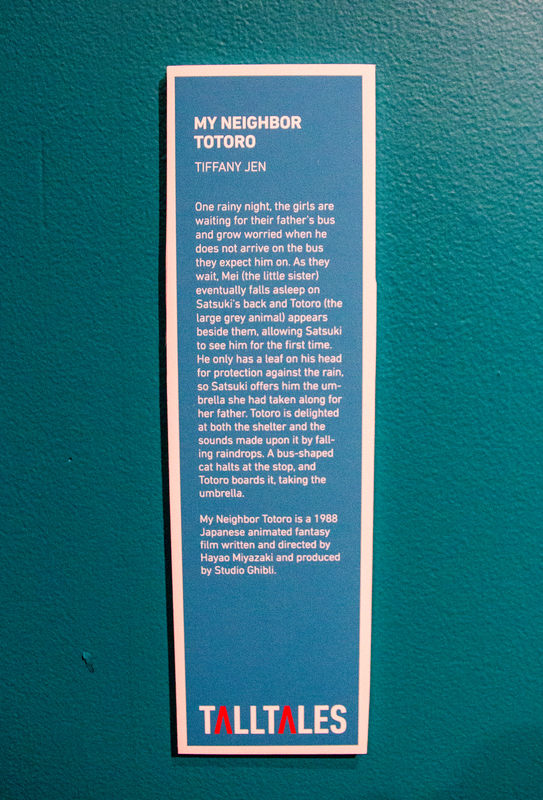 A bus-shaped cat halts at the stop, and Totoro boards it while the little girls still waits for her father to arrive. My Neighbor Totoro is a 1988 Japanese animated fantasy film written and directed by Hayao Miyazaki and produced by Studio Ghibli. Created under the direction of Kevin O'Callaghan with the help of Joe Pastor and Kaori Sakai.